Now, the inevitable has happened and Vertu has gone into liquidation, the 200 employes now left jobless. It is not known if the company managed to pay its bills, but an external spokesman for the firm said they aren't being paid anymore, so it's possible that at least some salaries have been left hanging. Our own attempts to get in touch with Vertu's PR representatives have gone fruitless, as their emails have been inactive for the past few weeks. Owner Hakan Uzan will retain the brand, technology, and licenses, but we don't see Vertu popping up for a resurrection run anytime soon. The company tried to sell super-premium handsets and unbelievable prices, but was essentially beat at its own game by 3rd party jewelers who make gold- and jewel-plated iPhones and Galaxies — phones that have the expensive look and heavy recognizability to boot. And that makes sense. For the super-premium brand Vertu wanted to be, it was quite light on marketing. 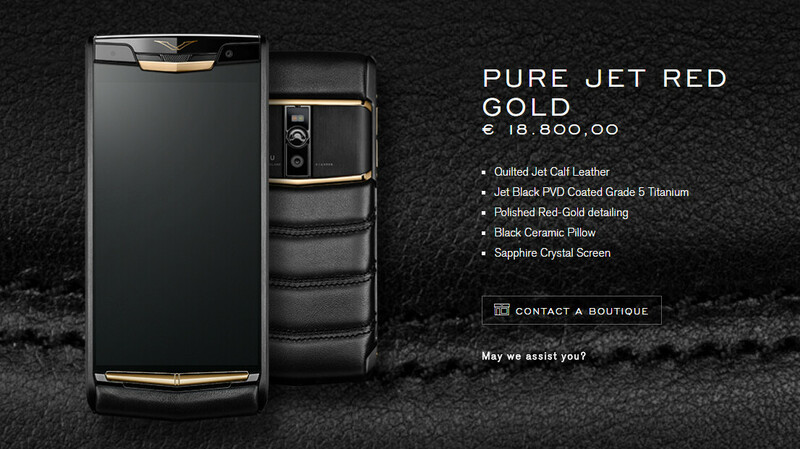 If you drop $10k on a handset, you'd like for others to know that when they see it on your coffee table, right? I had genuinely hoped to own one of their phones at some point, the Ti was one of my favourites, very sad to see them go. Actually I just want to know the feeling of owned a 10k bucks phone and now this happened! That's too soon! At least, its will turn out to be a great collectible! Ps.Sorry for my poor grammar skill. Their marketing group was not that strong. They're selling pricey phones and they hide in tech articles? 90% of rich people around the world don't read blogs because they have money to go to expensive places. Or buy lots of cars, lots that are exquisitely beautiful yet expensive, or even build a lot of buildings for their own uses. They can just buy some smartphones that doesn't exceed the $1,500 budget. And they would still have a lot of cash to use from. Are you aware of the fact that Vertu held exquisite events and showcases where they invited celebrities and other high value clients, yes? At some point, Seal, the music artist was a brand ambassador along with Michelle Yeoh. So no, they did not hide in tech articles. They were visible to their demographic. Clearly there is a lot more to this than we see, sounds like there was mismanagement of money in the company. Hmd should have taken over the brand and base the models on their own. Not a bad business concept. But, when elitists have to pay $10K for 2 year old tech, then expect difficulty. They really needed to create a liason with a secondary player like LG, Sony, or one of the Chinese mfrs. They could have paid them a premium for cutting edge tech and or allowed them to piggyback their brand on the device etc. 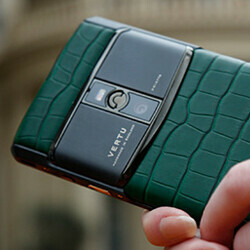 It appeared that Vertu was sort of "going it alone" with it's own R&D and a used parts bin. Hard to get any buzz that way. Had the devices been current with iPhone, then they may have gotten some traction in the premium (jewelry/ fashion) segment IMO. I still think this market is open for someone. It must be that Crapnese firm that sink Vertu. Why? Just look at the time when Private EQT sold Vertu to that Crapnese company, Vertu still worth almost 200 million dollars back then. If Private EQT not handover Vertu to that sh*t, Vertu may be able to survive. This is what happens when you launch a $5k+ phone in 2016 (or 2017 for that matter) with 2013 specs. Vertu phones are blinged up but with mid range specs. I can imagine that the user experience is not great. After paying all the money, one expects a top class user experience.